Career Peak – The point in an actor, actress or director’s career when they have given their best performance, reaching a point they will probably never match again! The idea is to examine a person’s film or television career and decide when their career peak was; the moment that they gave their best performance or produced their best work. This could be with their first movie; it could also be yet to come. It’s designed to spark friendly debate too so if you don’t agree (or do, which would also be good) then feel free to check them out and add your opinion. This seems like a bizarre choice but bare with me. Nicolas Cage’s early career is starts with some small roles, some random villains but interspersed with movies where he got to show his acting talent. Films like Raising Arizona show he has an eye for a canny script but then Cage would put together a strange career which mixed romantic comedies like It Could Happen to You with B-Action Movies like Kiss of Death. It wouldn’t be until later that year that Cage would find his calling. In 1995, Cage made Leaving Las Vegas. His role as a down and out Hollywood screenwirter is rightfully lauded as one of Cage’s best and at times you see both the calmer, focused actor with the more outlandish one. It doesn’t explain his strange choice to go straight into head-on, crazy action movies though! What a choice though. The three major action movies he made catapulted his career and made him the Hollywood star he has become today. The Rock was high-concept, high-octane fun with a cool Sean Connery along for the ride. Con Air placed Cage in another ridiculous action movie with a great cast and one of the best scenes in movies and then comes his career peak: Face/Off. Face/Off is as crazy as the other two, if not crazier for many it is the movie which is ultimate Cage. He gets to play the hero and the villain in a plot which makes little sense. Even better is him going up against John Travolta, who’s own career was on a upward turn after recent hits like Pulp Fiction. At this point Cage was big money and Hollywood royalty. What followed next didn’t make much sense. Cage just cruised through his movies, making solid but largely forgettable films. Snake Eyes, 8MM, Gone in Sixty Seconds and Captain Corelli’s Mandolin are all movies which have followings but hardly demonstrate Cage’s talents. From there his career choices were even more bizarre. 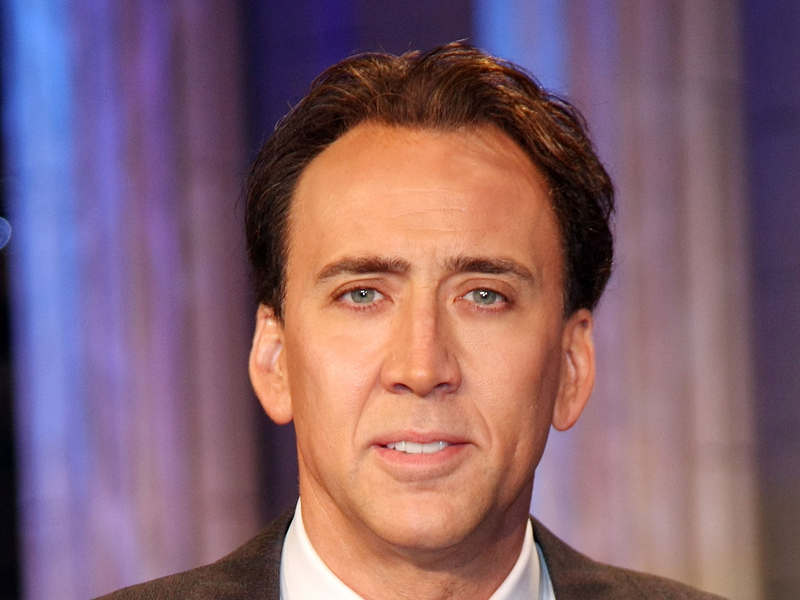 Cage seemed to make a conscious choice to go Hollywood and then indie and then Hollywood again. This seems to explain how he mixed Indiana Jones wannabe National Treasure with darker drama Lord of War, poorly conceived World Trade Center with The Weather Man. At times Cage seemed to be back to his best, then it would follow with something unbelievably poor. His lowest ebb has to be The Wicker Man remake. It is so poor it has become the stuff of legend, myth and GIF galore but from that point Cage hasn’t seemed to recover. Straight to DVD fare or the odd, pedestrian sci-fi, like Next, Knowing or Bangkok Dangerous, are starting to carve out a forgettable career for a potential legendary action hero. Even now, Cage isn’t releasing anything exciting. His last movie of note was Joe, where he underplayed his known characteristics and played the role sombre and troubled. He seems to undo these good efforts with movies like Left Behind, which has already been done better by The Leftovers TV show. Overall, Nicolas Cage has gone from movie megastar to dvd-fare B-actor. He still has a legion of fans but it seems they are holding on to the memory of the fantastic action career he created for himself in the mid-90s. 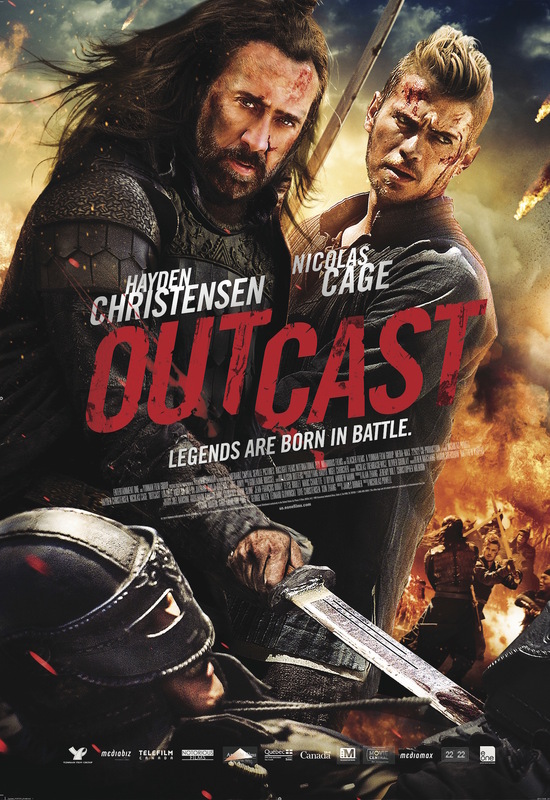 The Rock, Con Air and his career peak Face/Off seemed to be distant memories when we see him struggling to get an audience for films like Outcast. That film poster at the bottom is hilarious! You ever seen the Grindhouse double feature with the fake trailers? Nic Cage is in one and he’s mocking himself for being in any old sh*t movie lol. That’s what is so annoying. He clearly knows what he is doing and is a big enough pick his movies but chooses to do one with the moody kid from Star Wars! Haha! “the mood kid from Star Wars” – LOVE IT! I guess he just loves the bigger pay checks too much lol. But we still love him! Not for me. Feels like a poor Indiana Jones rip-off. Can’t disagree with anything here — except my deep love for National Treasure. They were definitely blips on a downward trajectory, though. I can’t find the love for those films. Always felt like they were slightly ripping-off Indiana Jones to be honest.